I know Abramovich has been sponsoring sports in Russia recently and was even involved in politics there, but I thought he came to London in the first place to run away from Putin. Apparently, he is still very good pals with Putin. That may account for the mysterious death of Berezovsky who died immediately after the court case with Abramovich (although he lost the case). British intelligence may have found out that Abramovich is a Trojan horse working for Putin and that's why they're trying to get rid of him. Fantastic! Naija man and tori no be today e start. Let's be clear, Abramovich NEVER ran away from Putin. In fact, he is one of Putin's boys, i.e., the pre-Putin Oligarchs who agreed to play ball. While others were either jailed or exiled, Abramovich was elected governor of some rural area. This is public knowledge....came out in court when the late Berezovsky sued Abramovich for a breach of contract. ...unless he invest in war machine, Israeli clubs can't hack it in Europe, the man will be bankrupt, no top star will be lured to a war zone. Good points. It's possible Berezovsky revealed info that was too close for comfort during the court case and that made the Russians wary that he'll reveal more to British authorities, so they decided to get rid of him. Essentially he became a threat to certain persons regardless of whether he won or lost the case. They waited until after the trial as it would've looked too suspicious had he died during the case. Abramovich's visa problems may be due to whatever was revealed about his relationship with Putin in that court case and the current strained relationship with the Kremlin. All speculation of course. Rumor now has it, that,Roman Abramovich could emigrate to Israel after the UK failed to renew his visa. he doesn't really need to emigrate to Israel, unless he has a falling out with Putin. Or unless Israeli citizenship grants him certain benefits. And was a governor of Chukotka region in Russia for 8 yrs. Abramovich is Jewish so has claim to Israel. You are really dumb and uninformed to equate Israel to war. Try to visit only for once to change your dumb perspective and stop spewing ignorance here. Disturbances in Israel are 99% in palestinian areas. Israelis can go into the UK visa free for 6months a clip IIRC. mcal, if only you realize that TTTK is Jewish, then you might stop arguing. 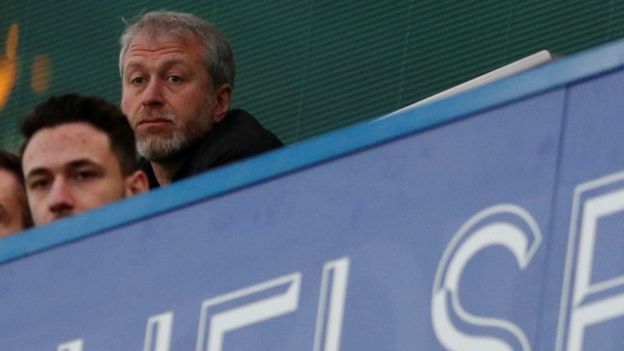 The Russian-Jewish billionaire owner of Chelsea football club, Roman Abramovich, has flown to Tel Aviv after being found eligible for Israeli citizenship. Immigration officials told the BBC that he was interviewed last week at the Israeli embassy in Moscow. He has faced delays in renewing his UK visa. His spokesman would not comment on reports citizenship had been granted. Mr Abramovich, 51, would be the richest person in Israel. His UK investor visa reportedly expired some weeks ago but the British government has refused to comment on his individual case. The delay in issuing him a new one comes amid increased diplomatic tensions between London and Moscow after the poisoning of former Russian spy Sergei Skripal in southern England. Mr Abramovich did not attend the FA cup final at Wembley earlier this month when Chelsea beat Manchester United. Israeli media reports say he has been given an identity card in Israel under the Law of Return, which allows Jews to become citizens of Israel. The Times of Israel said the interior ministry had confirmed Mr Abramovich arrived in Israel on Monday and that he had emigrated to the country. He is a frequent visitor to Israel and bought a hotel in Tel Aviv in 2015 that reports say he has turned into a residence. Israel passport holders are allowed to enter Britain without a visa for short stays. 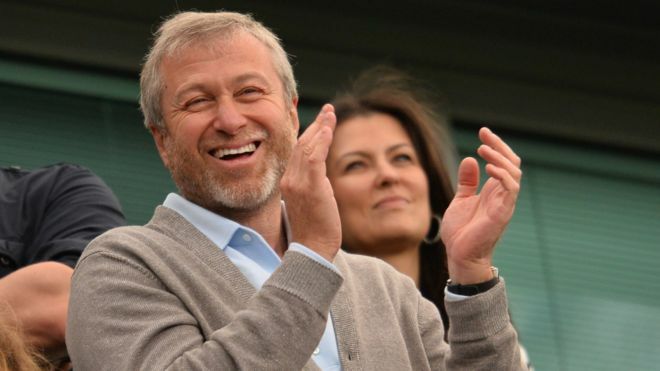 Mr Abramovich is worth $11.5bn (£8.6bn), according to Forbes magazine. The move could pay off financially as new Israeli citizens are exempt from paying tax on foreign income for 10 years. ...I may be dumb, but will never step into that country for free. Thank God during my time in the region we never crossed their air space or land for a quickie. Read something about intelligence report proclaiming him as an enemy of the state. If true, even an Israeli passport will not let him in. a spokesman for Theresa May confirmed holders of Israeli passports are allowed to visit Britain for up to six months under a waiver scheme. Under the rules, Israeli visitors are not allowed to work or live in Britain. Immigration enforcement officers police the rules and could act if Mr Abramovich was known to be working at Stamford Bridge or engaging in activity to run Chelsea while in the UK. But he can run Chelsea while away from Britain. What's all the fuss? Where is the Biggie.....almost over 30% of Israelis are RUSSIANS. Even their tough-talking 'deputy PM' is a Don Putin boy.